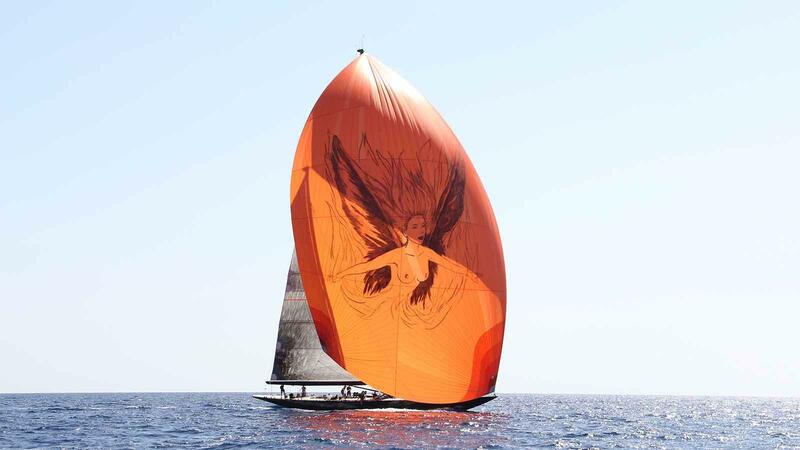 Sailing Yacht FIREFLY is a 35.05-metre schooner designed by the prestigious Hoek Design and built by the well known Dutch shipyard Claasen Jachtbouw. 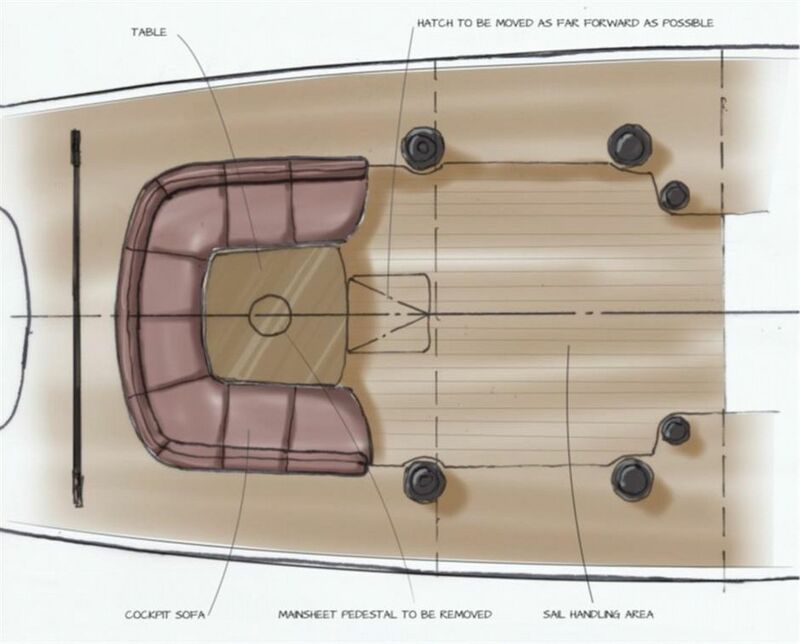 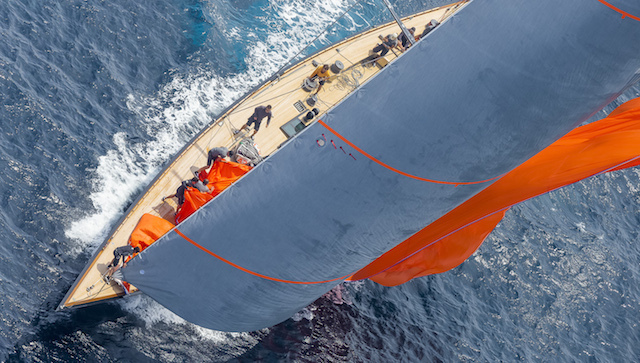 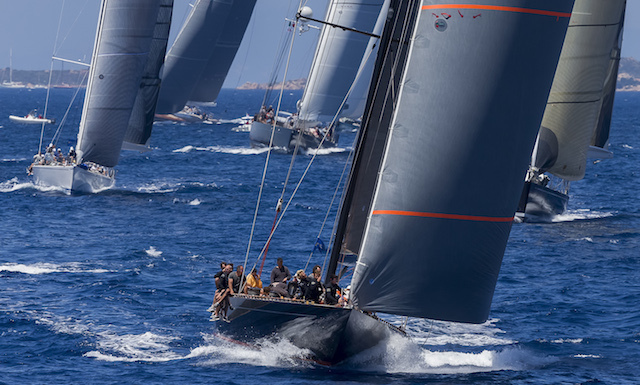 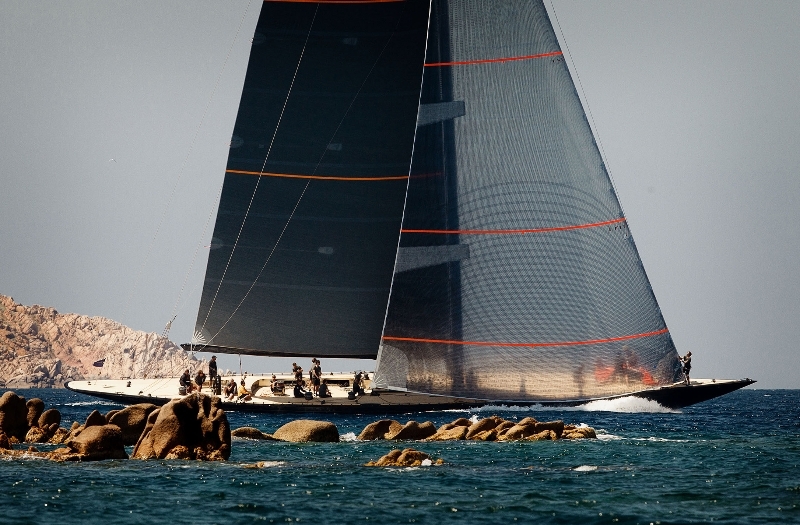 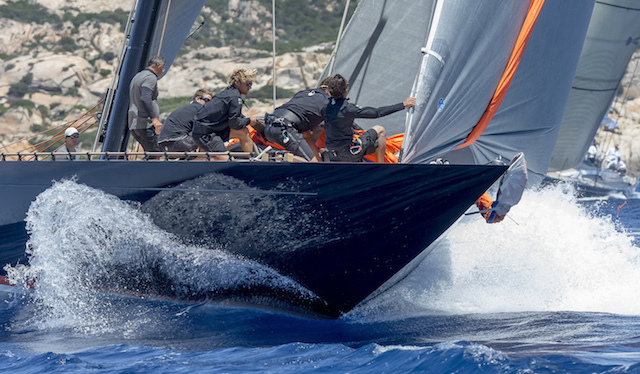 Hoek's Firefly Yacht is the first in the Hoek 115 F-class classic series. 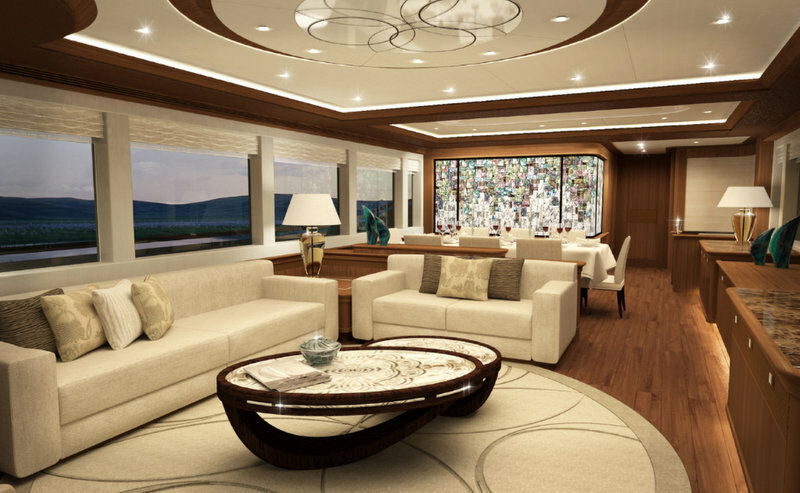 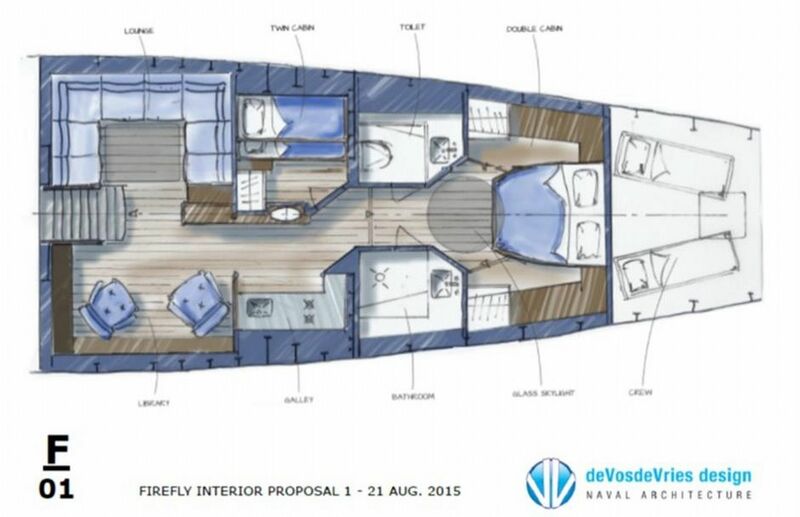 'Firefly' was launched in June 2011 and features aluminum hull as well as superstructure. 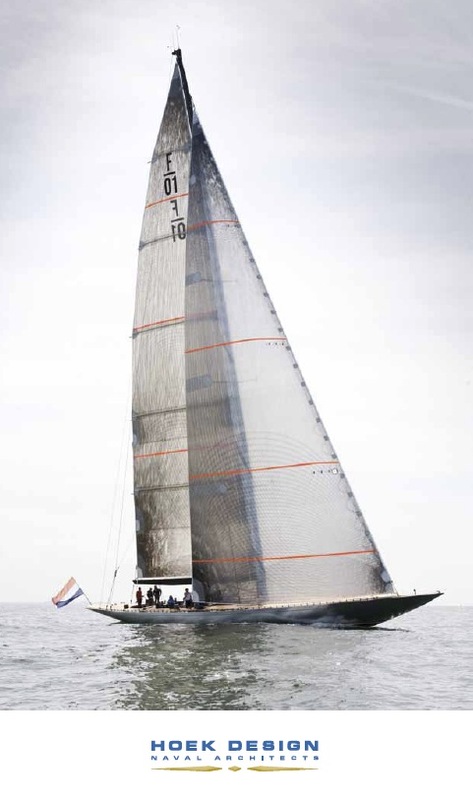 Firefly's aluminum hull was built at the Bloemsma Aluminiumbouw, and she was completed by Claasen Jachtbouw. 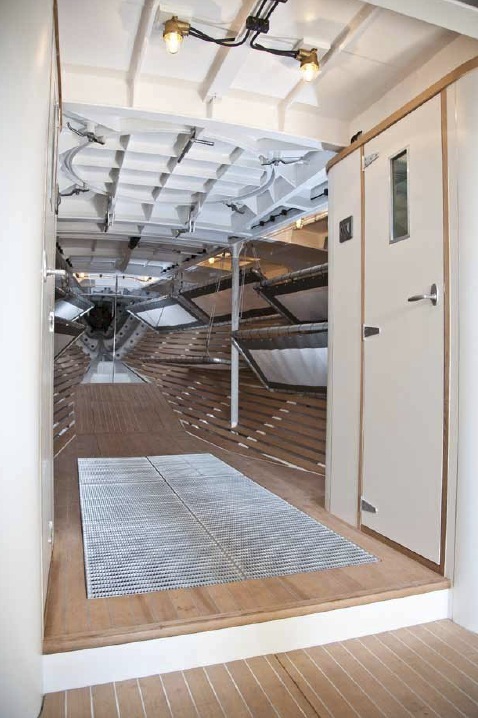 Her deck layout is comparable to a modern maxi with large open cockpit and separate cockpit for the helmsman. 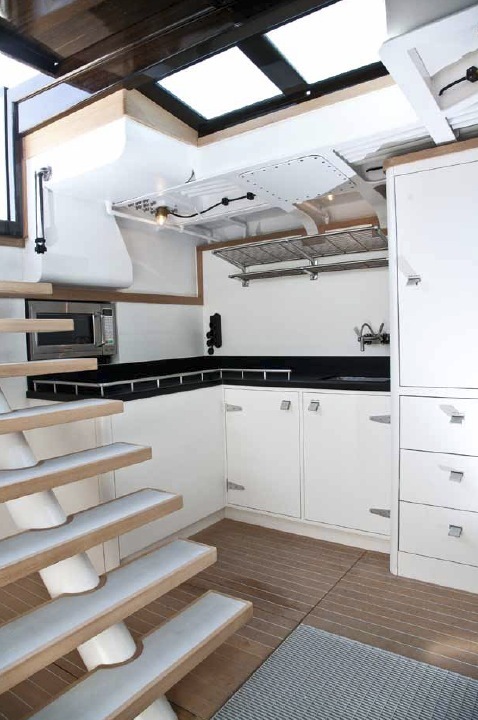 On deck and in the interior Firefly features a minimalistic interior with pipe costs forward of the mast, a stall shower and separate toilet, locker space for all the crew, a small galley and a navigation table. 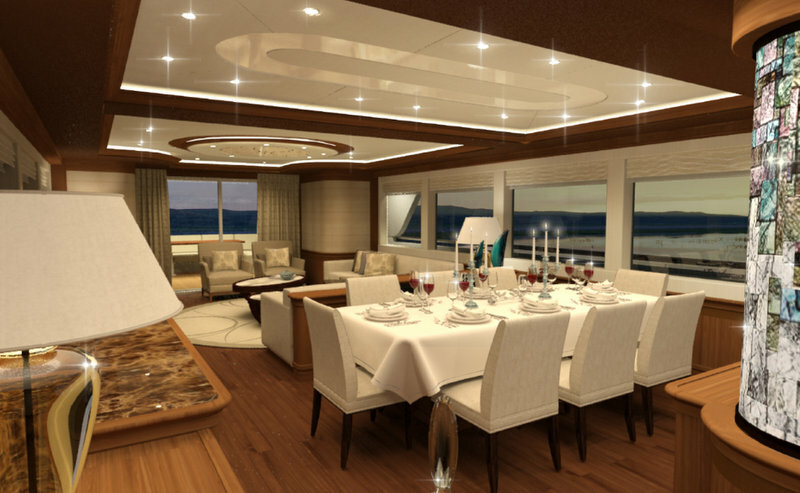 Firefly Yacht’s technical systems are very advanced. 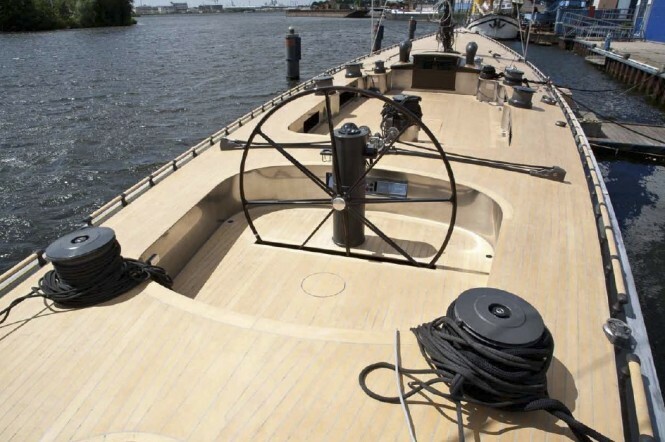 The main engine is a Steyr 6-cylinder driving a folding propeller and IFG generator, while a 4-cylinder Steyr engine drives an IFG generator and hydraulic pump. 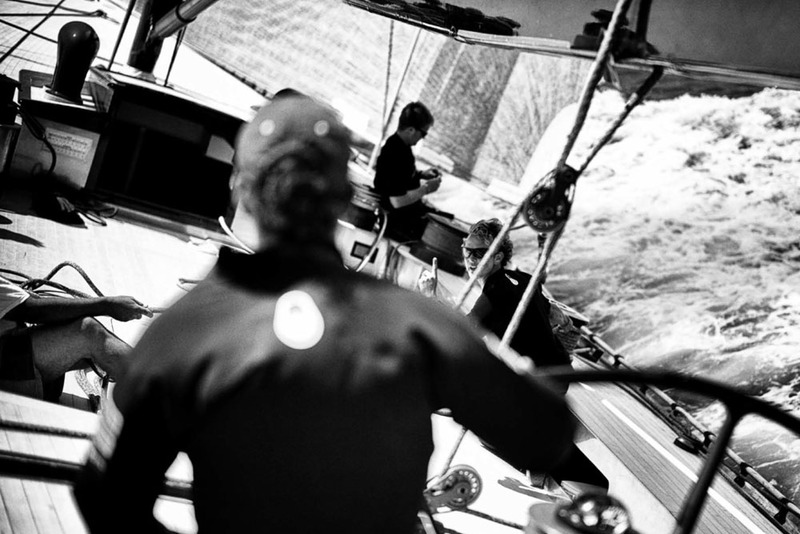 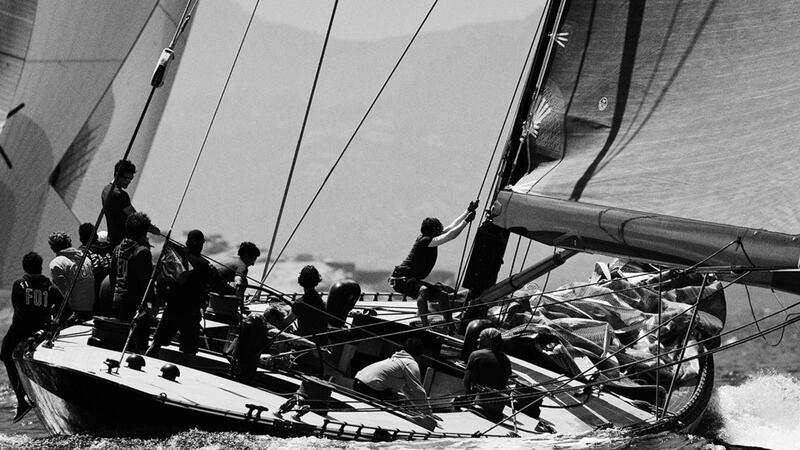 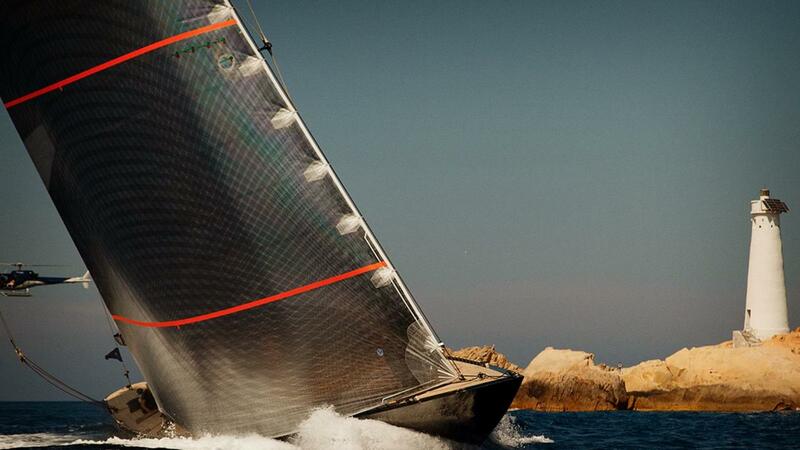 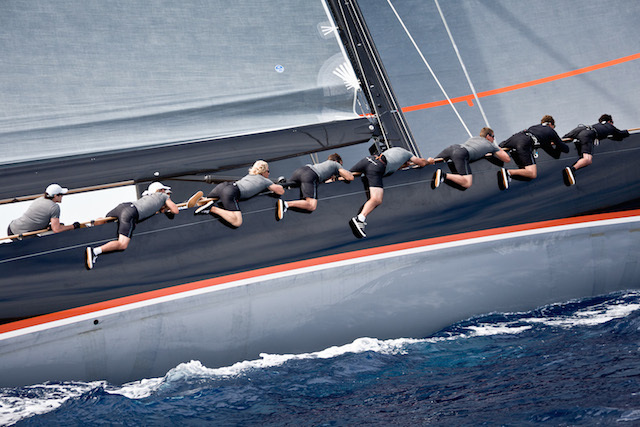 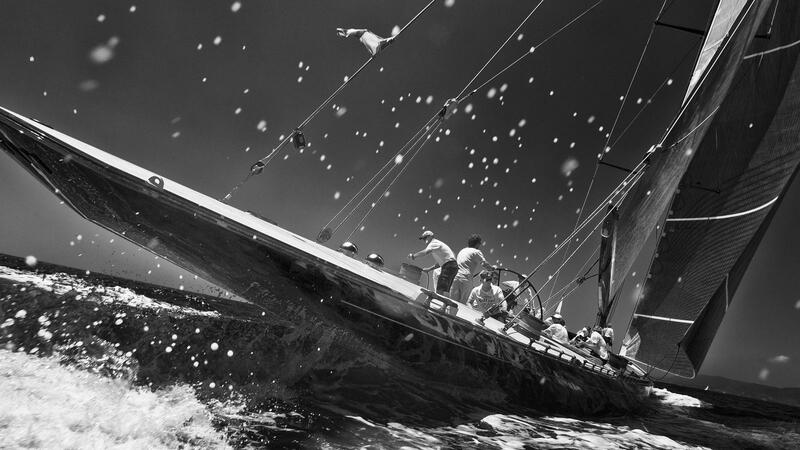 All sailing systems are hydraulic with Harken winches and Lewmar deck gear. 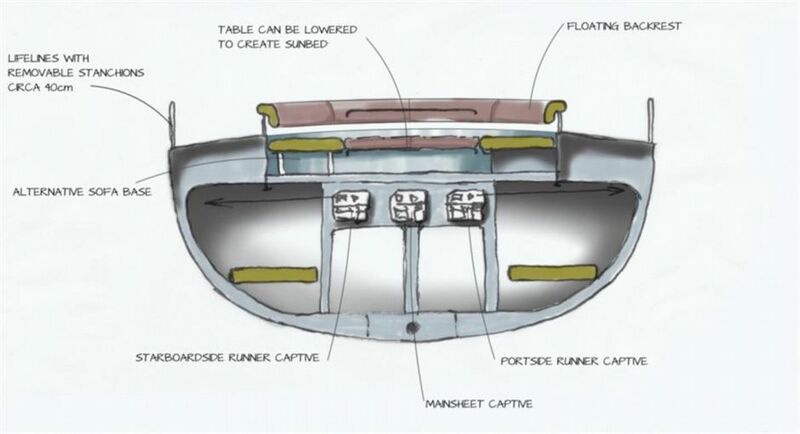 A water ballast system is built for long-distance races, with five tonnes of water that can be transferred from one side to the other within two minutes. 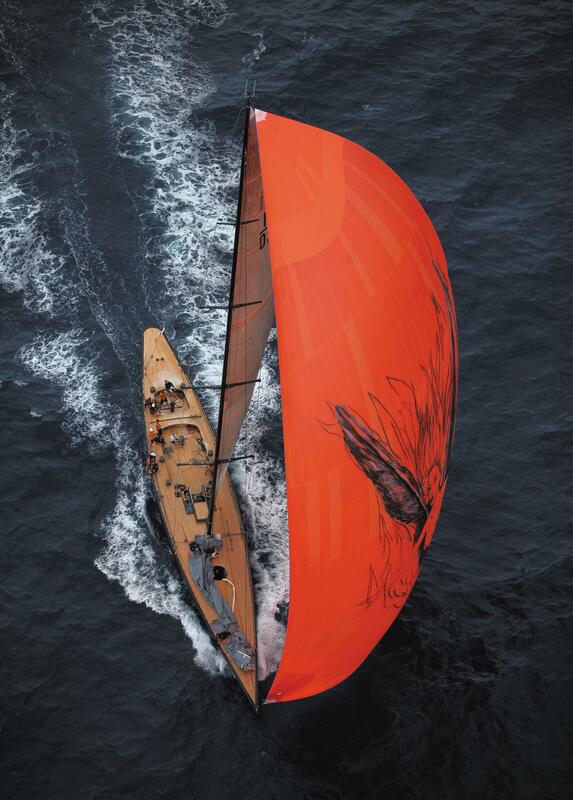 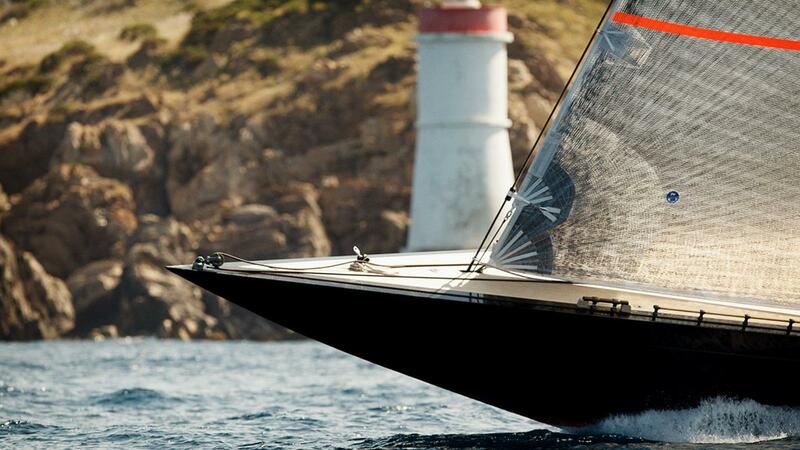 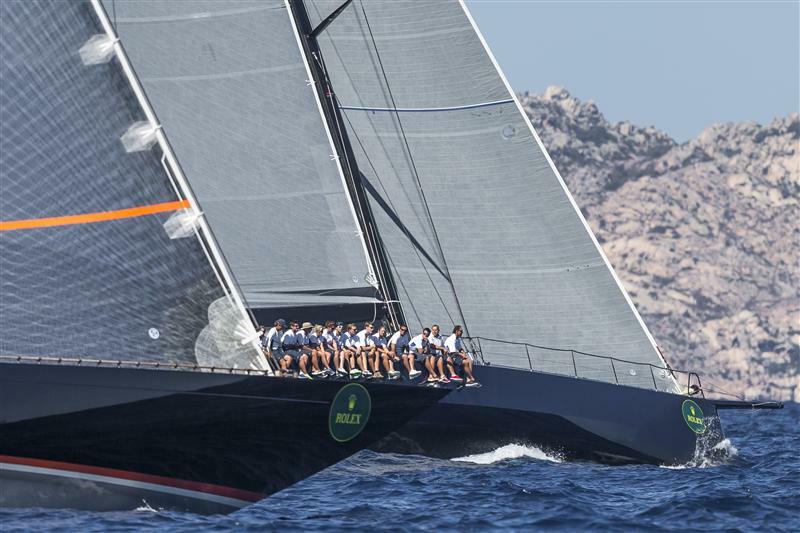 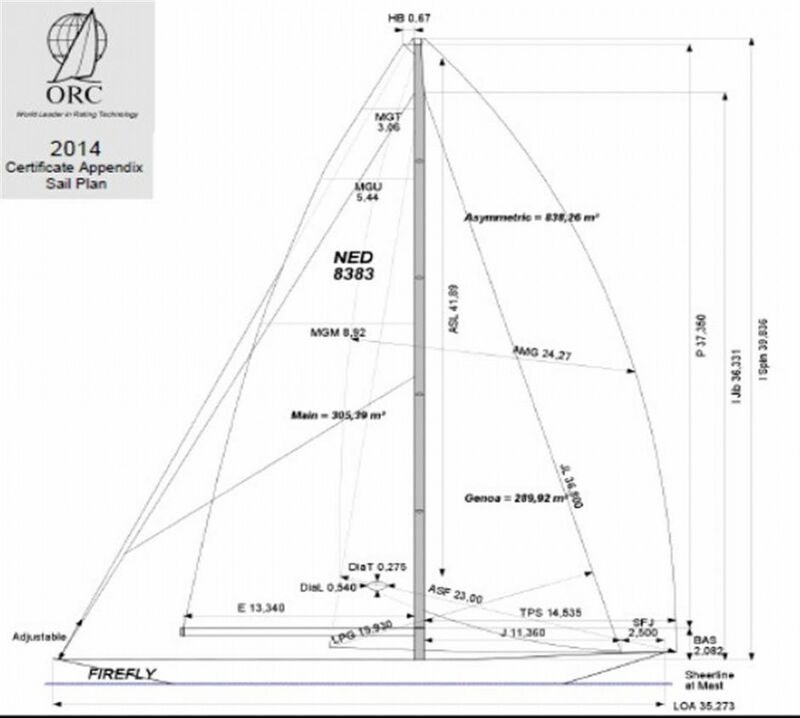 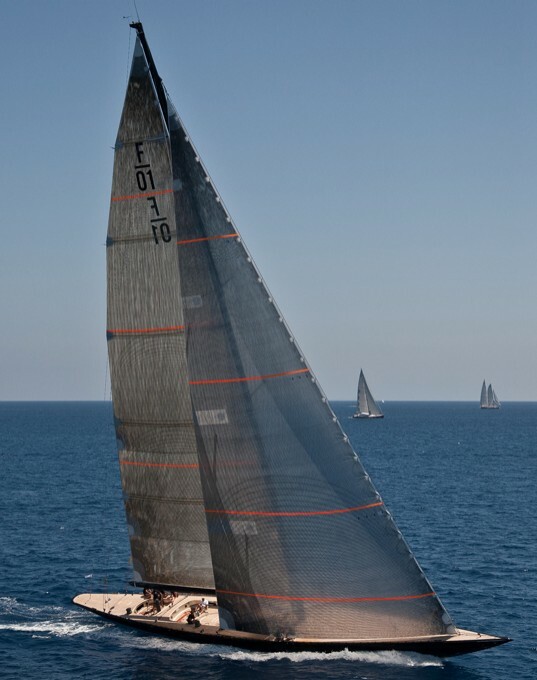 Sailing Yacht Firefly is fitted with a fixed keel, although class rules also allow for yachts with a lifting keel. 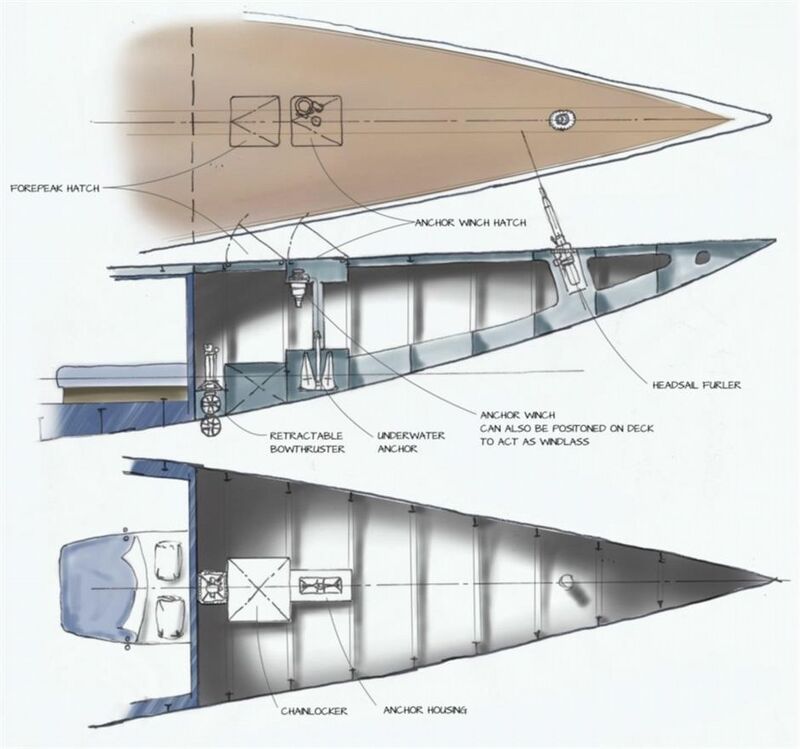 Designs are made in such a way that the stability and performance are identical to either option. 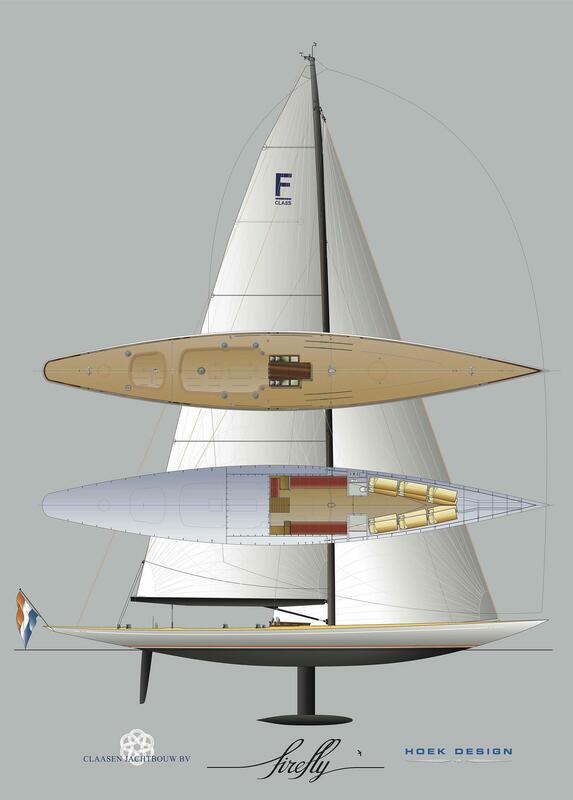 An F-class Association has been set up, and a dedicated website is being created for the class. 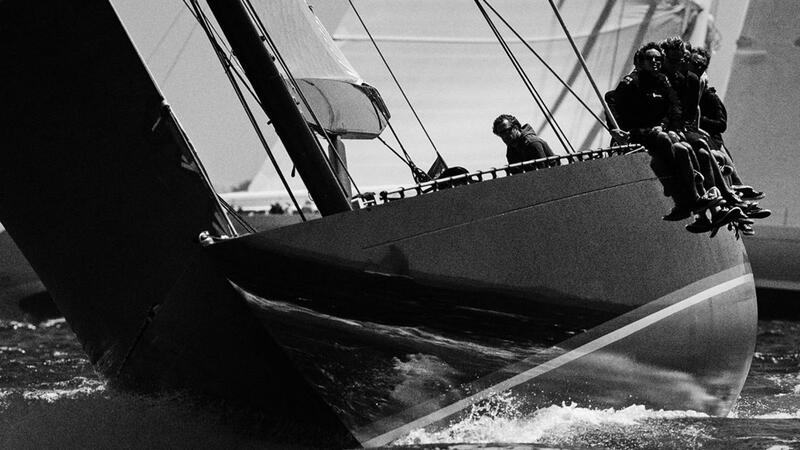 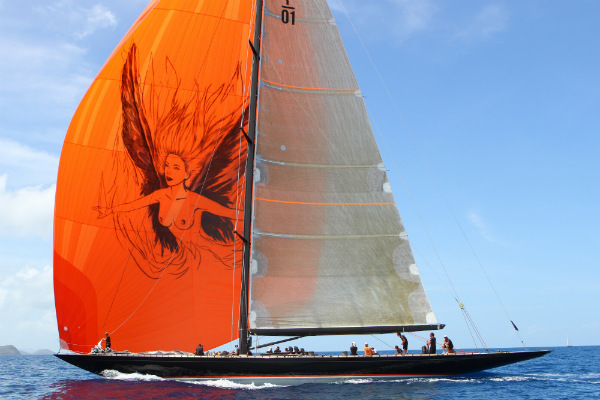 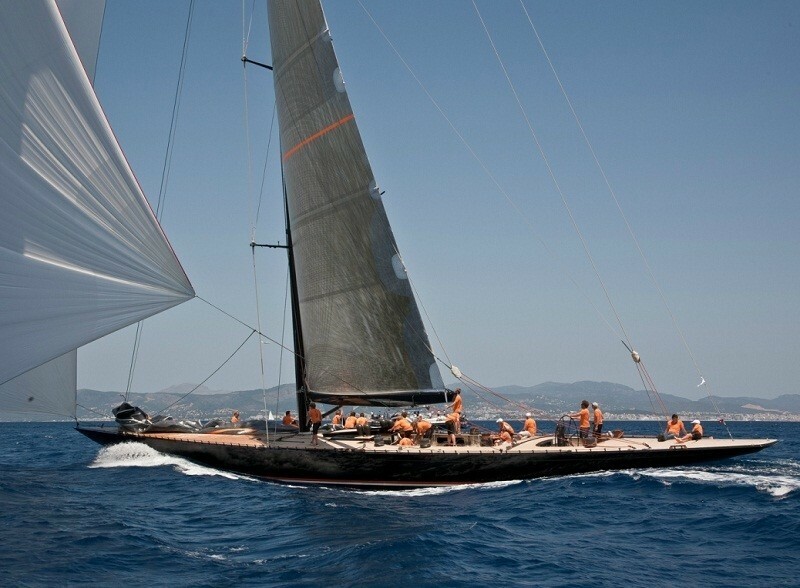 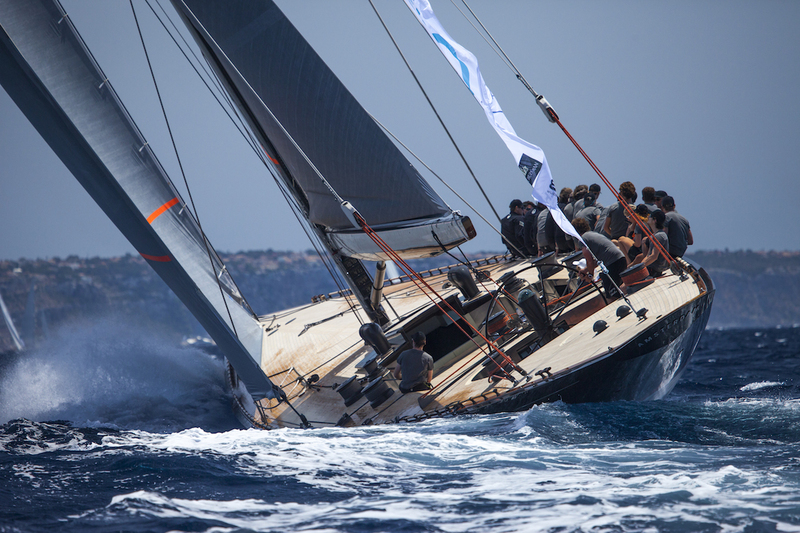 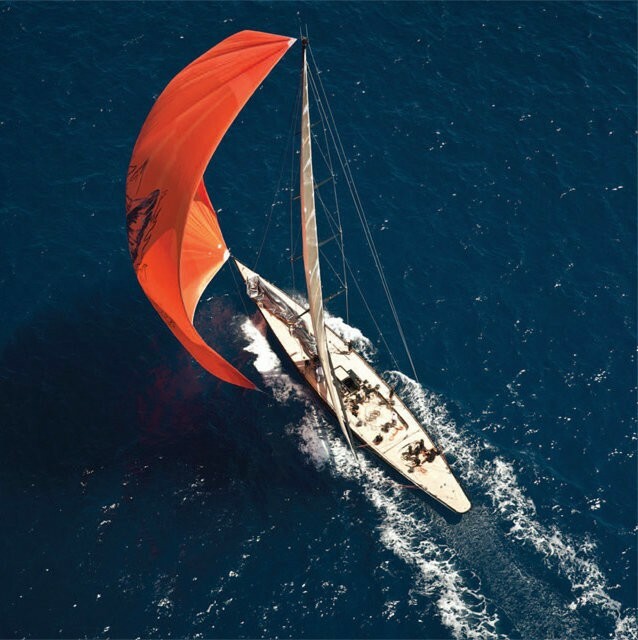 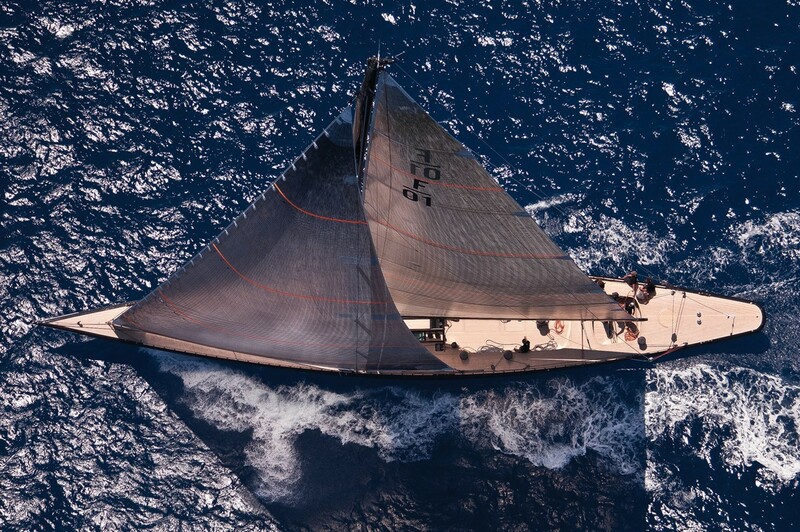 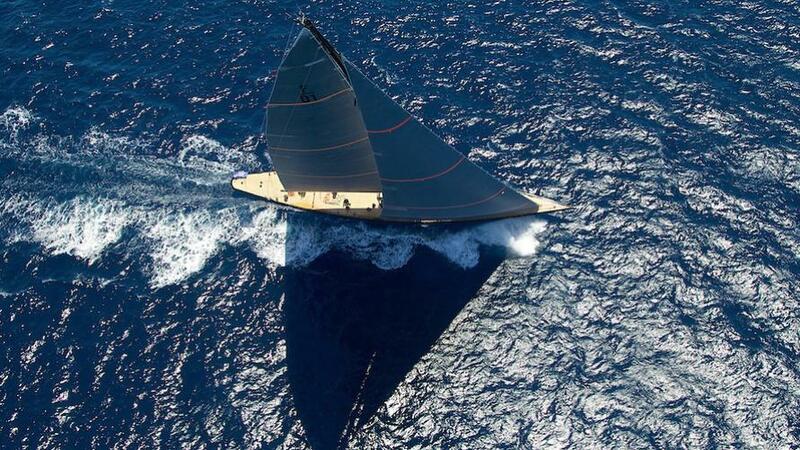 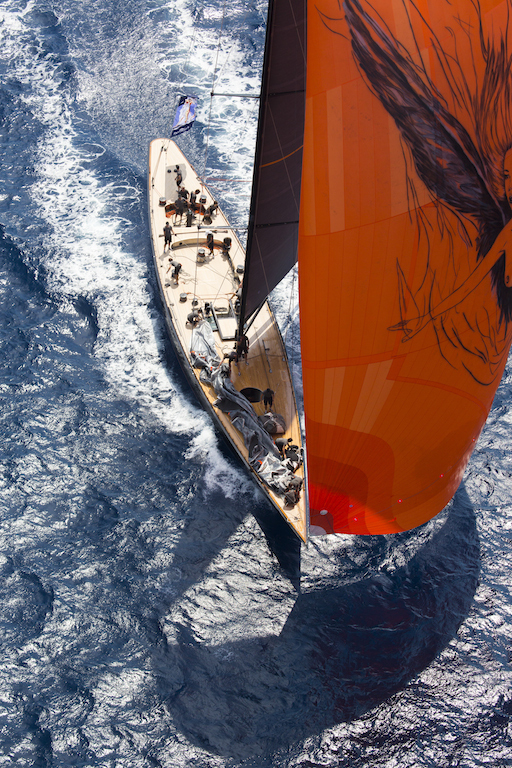 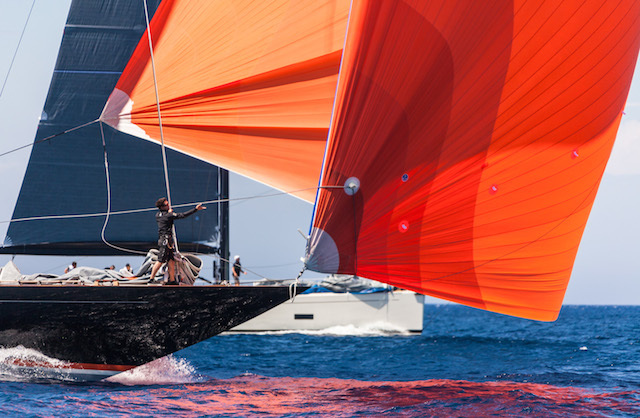 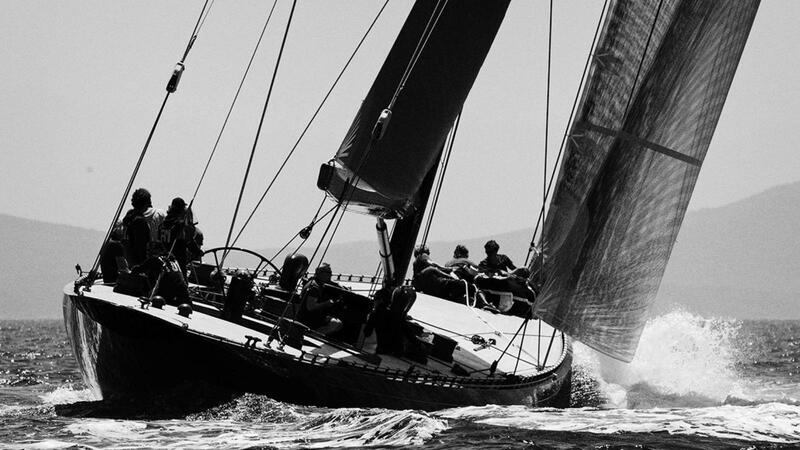 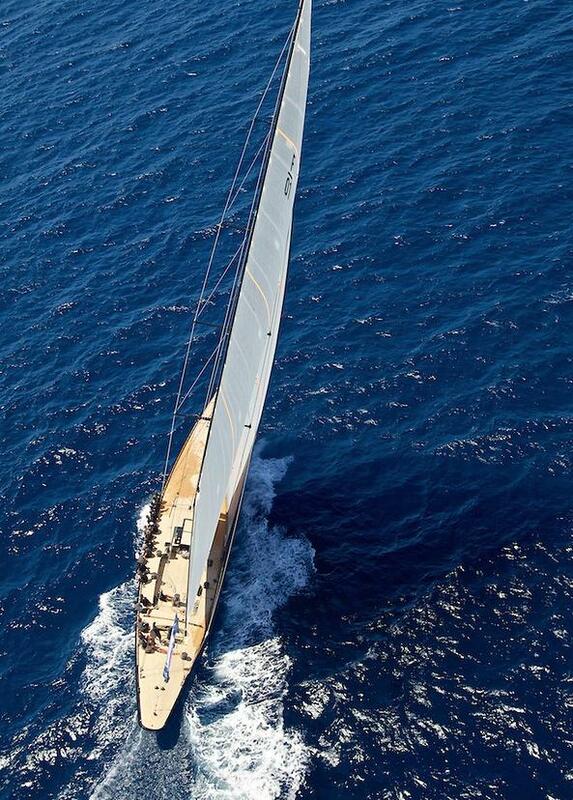 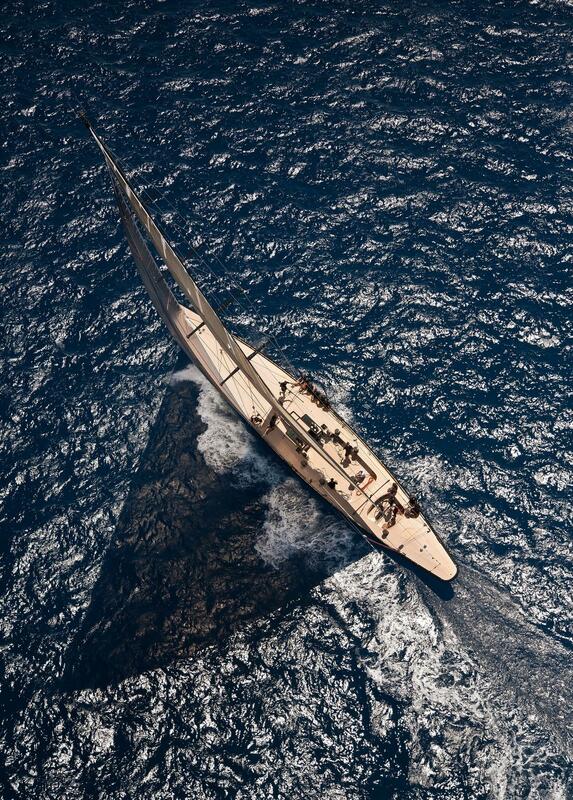 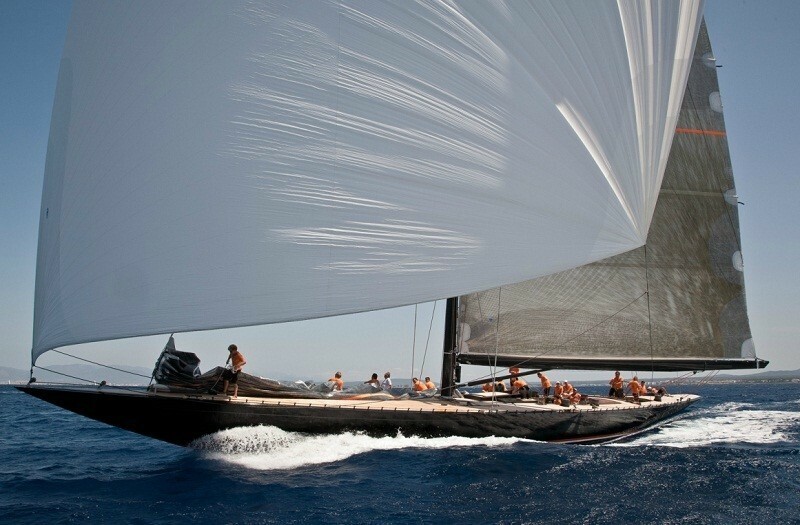 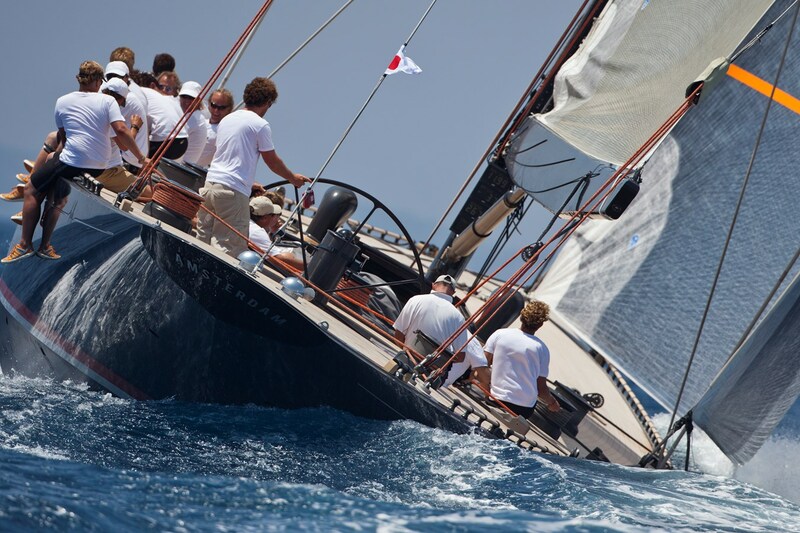 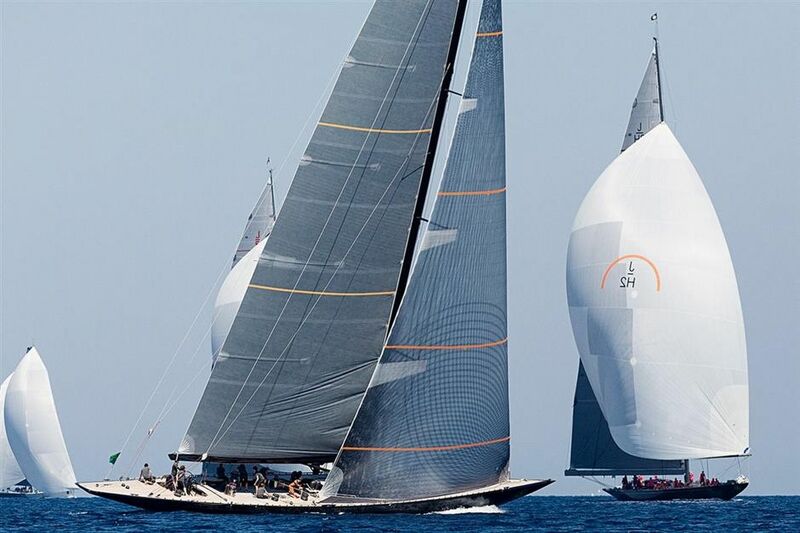 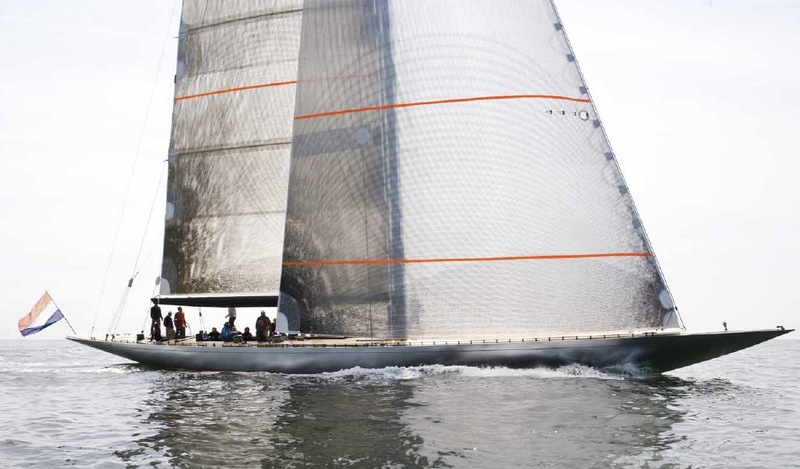 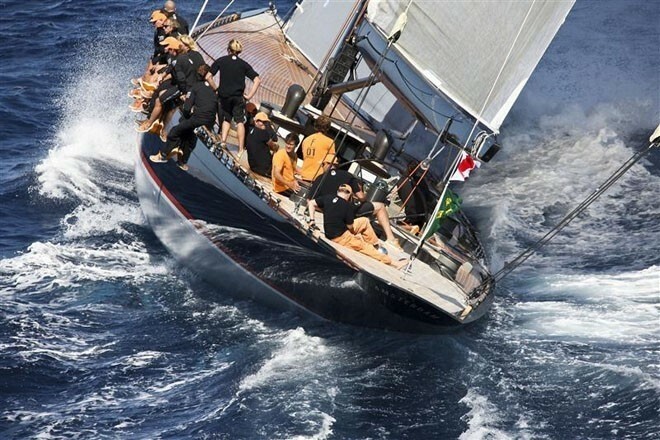 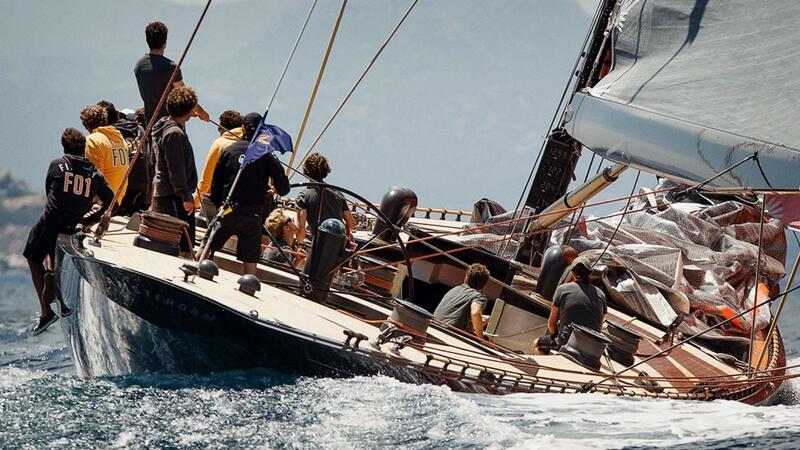 Sailing yacht FIREFLY is available for Regatta charters only. 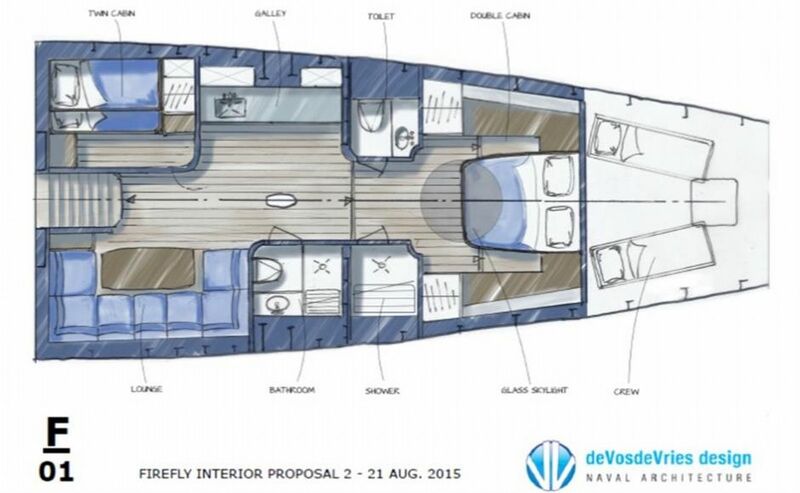 We do have available further amenity, owner and price information for the 35.20m (115' 6") yacht FIREFLY, so please enquire for more information.